Presidents Portraits Washington DC RP - Abraham Lincoln - Presidents and Political - Vintage Postcards | VintagePostcards.com: vintage, old, antique postcards for collectors. 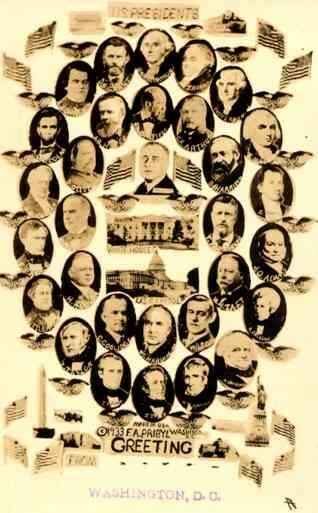 All the presidents from Washington through Franklin D. Roosevelt, and vignettes of the White House and the U.S. Capitol. Statue of Liberty, New York City, NYC, Washington D.C., real photo.